Do not be unequally yoked with unbelievers. For what partnership has righteousness with lawlessness? Or what fellowship has light with darkness? What accord has Christ with Belial? Or what portion does a believer share with an unbeliever? What agreement has the temple of God with idols? Forward to where? And how are regenerated Christians supposed to make religious alliances with progressive/liberals who deny Who Jesus and are still dead in their sins; or with apostates whose church has placed its—never changed—anathema upon the very Gospel of Jesus Christ itself. The above is a reference to the foolish “big tent” Christianity, which is the new hybrid form of postmodern Progressive Christianity and de-formation of the Christian faith they’re now refering to as Emergence Christianity. 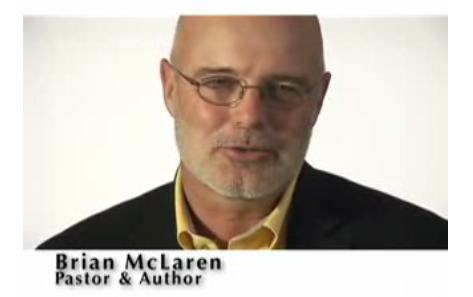 This is what Emergent Church guru McLaren begins laying out in A New Kind of Christianity. However, the only place that can work is the synthetic reality of Humpty Dumpty language where in their irrational phlosophy words mean whatever one wants them to mean. Again I serve notice: These posers will never have their big tent universalism as long as genuine Christian men like me are still breathing. Don’t be fooled by such as these; see them for who they are — and from among your own selves will arise men speaking twisted things, to draw away the disciples after them (Acts 20:30).